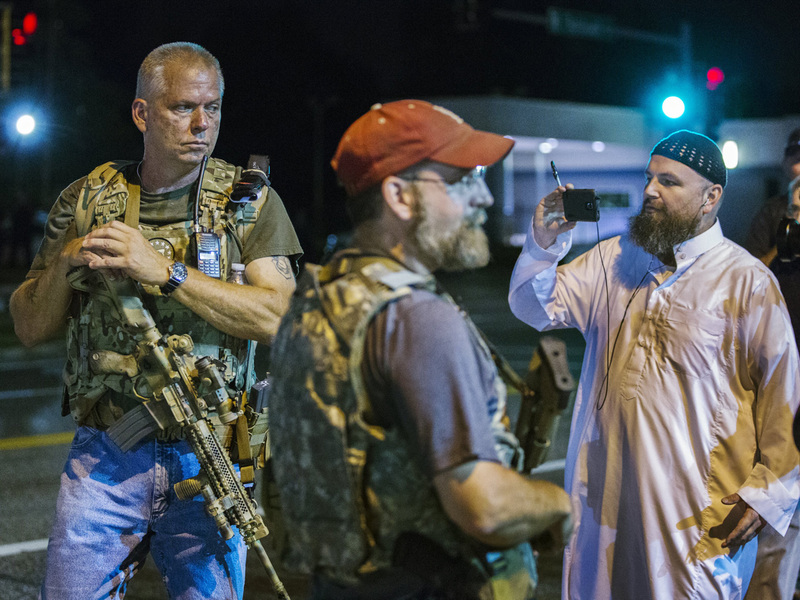 MONTGOMERY, Ala. - Leaders of a civil rights advocacy group say the number of hate groups and anti-government militias increased in 2015 - and they say the rise coincides with the increasing presence of fear and hate speech in mainstream politics. Southern Poverty Law Center released its Year In Hate and Extremism report Wednesday. The report says the number of hate groups in the U.S. increased to 892, up from 784 in 2014. The SPLC defines hate groups as organizations that attack people based on central characteristics such as race, sexual orientation and religion. Critics have accused the SPLC of targeting conservative viewpoints. SPLC officials say national attention on fatal encounters between law enforcement and blacks; debates about immigration; Islamic terrorism and economic pressures faced by white middle-class Americans are likely among factors that contributed to the increase. On the cover of the SPLC report, Republican presidential candidate Donald Trump is featured. Many have criticized the bombastic businessman for some of his positions on the stump, such as banning all Muslim immigration. He is currently leading polls for the GOP presidential nomination. The group argues that the blood that was shed by extremists last year in the U.S. -- like the San Bernardino attack, the Charleston church shootings, and the attack on Planned Parenthood in Colorado -- should have taught public figures to tone down the hateful rhetoric. "After seeing the bloodshed that defined 2015, our politicians should have worked to defuse this anger and bring us together as a nation," said Mark Potok, senior fellow at the SPLC. "Unfortunately, the carnage did little to dissuade some political figures from spouting incendiary rhetoric about minorities. In fact, they frequently exploited the anger and polarization across the country for political gain."